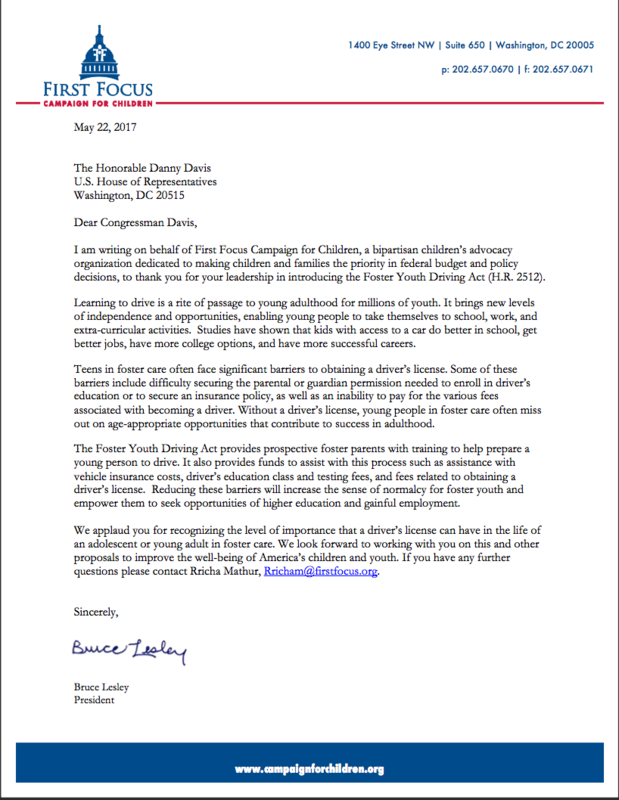 The First Focus Campaign for Children sent a letter to Rep. Danny Davis (IL-7) in support of his introduction of the Foster Youth Driving Act (HR 2512). 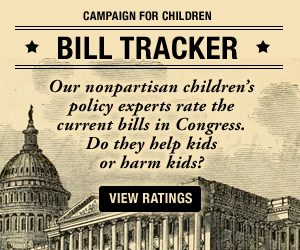 This legislation provides prospective foster parents with training to help prepare a young person to drive. It also provides funds to assist with such things as vehicle insurance costs, driver’s education classes, testing fees, and costs related to obtaining a license. Reducing these barriers will increase the sense of normalcy for foster youth and empower them to seek opportunities of higher education and gainful employment.